Tamaya, also called bamboo begonia and Begonia maculata, is a magnificent indoor plant that offers abundant flowers. Easy and quite resilient, it is a very ornamental plant. When planting or repotting, its best to use flower plant soil mix or a mix of leaves and soil mix. Avoid situations that would scorch the plant, such as South-facing windows. Select a very luminous spot that isn’t too close to a heating vent. The ideal temperature for a Tamaya plant is around 70°F (20°C). 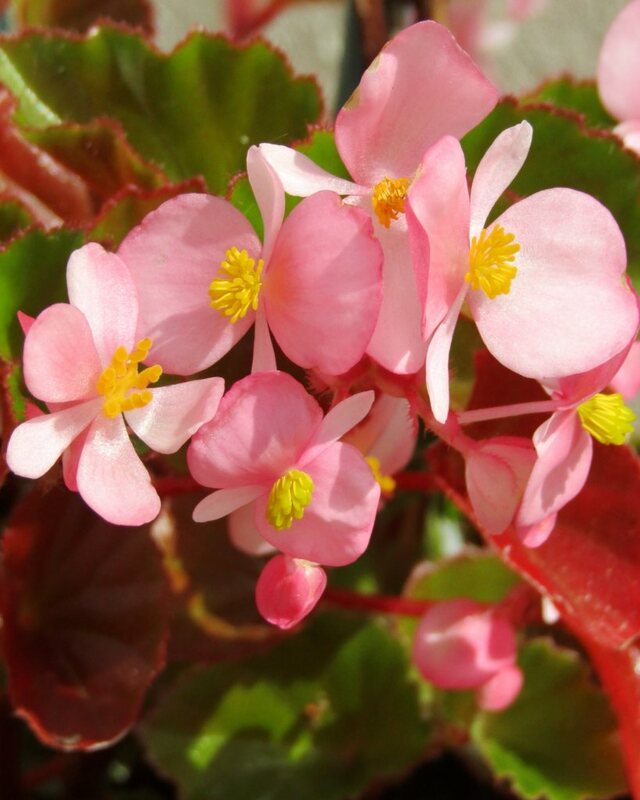 Tamaya begonia can only survive outdoors in tropical or subtropical climates because it is vulnerable to the cold in winter. It must have temperatures of at least 60°F (15°C) all year round. However, you can bring your Tamaya out to your terrace or balcony as soon as temperatures rise above 65°F (18°C) both in the night and in the day. Avoid spots with too much direct sun. Favor part sun when outside. Don’t move your Tamaya ® around too often. Tamaya is propagated through cuttings. This step is usually performed at the heart of winter when the blooming is at its lowest. But the season to make cuttings can shift depending on the growing conditions, since the basic rule is to wait for the plant to have drifted into its dormant phase. Snip off a branch that has not born flowers just after a bud. Put the cutting stem in water until nice roots appear. After that, plant the Tamaya cutting in a good soil mix. Water so that the soil mix stays lightly moist but without overwatering. Care is easy enough and only requires very little attention. This step helps stimulate the plant to produce new flowers. Prune the Tamaya® regularly for it to retain its nice, compact bearing. Spring is the best season for pruning, followed by summer. Snip back the longest branches by half or even two-thirds, just above a bud. For maintenance pruning, pinch or cut off each new branch at the tip after it has sprouted two or three leaves. New branches will sprout from buds at leaf joints. It will grow more densely. Tamaya must be watered when the surface of the soil is dry. One to 2 watering sessions a week are usually enough to answer its water needs. Provide flower plant fertilizer on a regular basis to your Tamaya. The interval for this is about once a month from April to September. Almost any type of fertilizer will do, as long as it is balanced. This means it contains equal amounts of nitrogen, potassium and phosphorus (the N, K and P symbols). If anything, reduce doses written on the packaging by half. You can reduce the dose by increasing dilution. For example, if the package says to pour one cap-full in a quart (liter) of water, then pour it in a half-gallon (two liters) instead. Only increase to normal doses if you don’t see any betterment after three full months. This very beautiful plant native to Central and South America (Mexico) branched into very many species with unique colors and shapes. 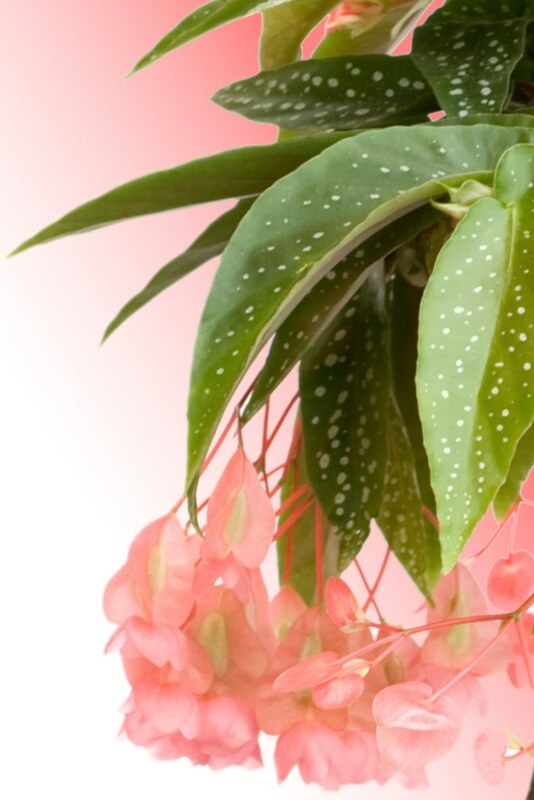 This is a plant that is both robust and easy-going and it belongs to the same family as begonia. Tamaya blooms several times a year and each time it does so, delicate pale pink to carmine red flowers are born depending on the variety and the growing environment. You’ll also notice its evergreen leafage that evolves from bright green to emerald green, and is sprinkled with silver spots delicately ordered along the leaf veins. It truly shines as an exquisite ornamental plant. 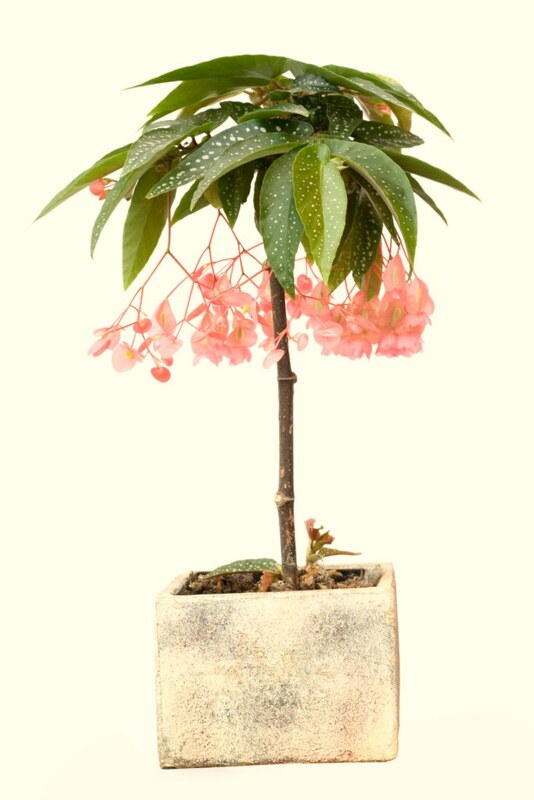 The scientific name maculata comes from these spots, and the other name of this begonia, “bamboo begonia“, comes from the shape of its stem. The cultivar that is specifically called ‘Tamaya ®’ is actually patented, meaning that it was developed by breeders who patiently ensured it would constantly provide us with its beauty! Propagating it for sale is thus currently prohibited. Tamaya can survive for several decades, but it tends to grow sparse and blooms decrease in time. To avoid this, you must prune on a regular basis and enrich the soil with fertilizer. Which fertilizer do you recommend for these Tamaya? And also, how do you prune them? Hi Terry! You can use any flower fertilizer, or even easily make your own from weeds that can be fermented. It’s important not to fertilize too much. As for pruning, spring is the best season. Simply cut back stems by about half (leaving the tall trunk intact) and then maintain it during the growing season by pinching (snipping) off young stems after a couple or three buds. Thank you so much for your post and answers to my questions.